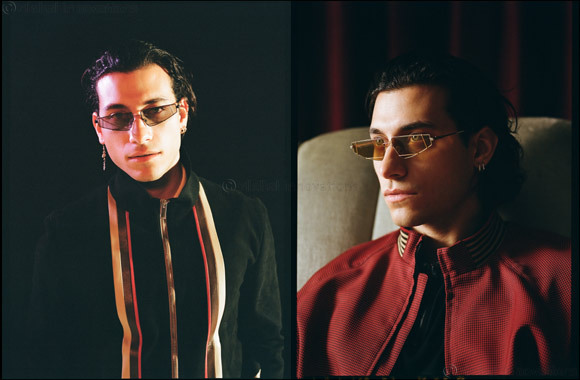 Dubai, UAE, April 09, 2019: FENDI has chosen actor, musician, and model Robert Joseph Raco to be its new ambassador for the new FENDI Men's Eyewear Collection, following Jamie Campbell Bower in 2018. Born in Canada on 1989, Rob Raco made his acting debut playing as Clark Barker on TV series, Supernatural. His breakthrough role came when he starred in the highly awaited and buzzy CW Series, Riverdale, in 2017. The series won the Teen Choice Drama Award. Besides that, he is part of the music band The Good Time Boys, together with his Riverdale co-star KJ Apa. Rob will start his journey with the Spring/Summer 2019 collection and the new FENDI FIEND sunglasses. Inspired by the creative setting of the Fashion Show, these new sunglasses merge art influences, future-inspired design and savoir-faire, taking the contemporary trends to the next level. The narrow metal shape with ultra-flat front and extra-light surface convey a retro-futuristic feeling, enhanced by the special frame construction defined by a thin metal thread running around and over the lenses, for the maximum lightness. The iconic triangular design of the temples is revamped with tone-on-tone or contrasting color end-tip, adding a subtle twist to the design. The color palette includes the distinctive hues of the FENDI Spring/Summer 2019 Men’s Collection: gold/red with pink lenses, gold/brown with brown lenses, black with grey lenses. The campaign will break in June 2019 worldwide.